Is The Garmin Edge 500 Bike GPS Really As Informative And Worthwhile As Garmin Suggest? With the description of the Garmin Edge 500 Bike GPS being a “high-sensitivity” bike computer, it is no surprise that many buyers have such high expectations of what it can do. This small little device, complete with charger, bike mount and USB cable, tracks users’ speed, distance, position, elevation and heart rate and even has pre-set “courses” to aid with training. This tiny little device will apparently “sharpen your cycling performance”, and it certainly sounds clever enough to do so, but has it proved its worth during training sessions? 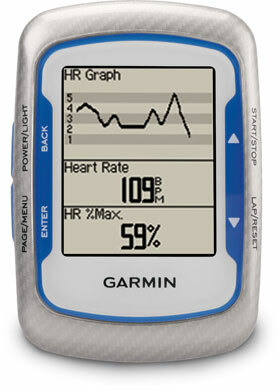 Does this Garmin Edge GPS system really offer all this information and what other benefits can it provide to cyclists? The informative nature of this product really is its main selling point because not only does it have the ability to provide data on locations while riders are out in the countryside, it goes beyond that with extra benefits. Some would go as far as saying that there is more information than they actually need, for example the “advanced heart rate-based calorie computation for an accurate picture of energy used” sounds impressive but it is just a secondary benefit, but that does not mean people are complaining about these extra features, especially when the heart rate function works so much better than expected. Information is the main selling point but the ease of use of this well-designed Garmin Edge 500 is arguably the greatest benefit of all. 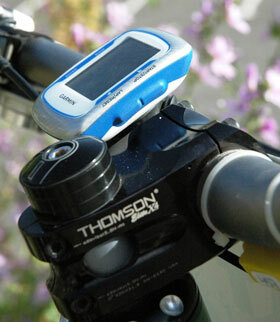 Many feel that the system is easy to operate – from the initial set-up to the navigation of the buttons during to ride and the ability to upload the data accumulated onto the computer. This is made even easier with the easily-adjusted bike mount, which can be switched between bikes with ease, the compact size and the light, 59g weight. It is encouraging to see how many consumers say it is easy to operate, the problem is that many finish that sentence with the words “when it works”, suggesting that this reliable operation is not always a guarantee. Why are there concerns about whether or not this Garmin bike GPS will work and what other flaws have been pointed out in user reviews? While some talk about the small size of the screen and buttons, others would say they are of little consequence compared to the problems with the electronics and software faults. Despite the advertisement that the Garmin Edge 500’s barometric altimeter provides “extra-precise climb and descent data”, many users say that there are regular inaccuracies with these elevation readings and that it is sometimes wildly off the mark. Additionally, others report that the program has cut out halfway through the ride, disrupting the process and making the data already compiled worthless, and there are queries over the readings on the battery level indicator. Another problem that has been noted worryingly often is that water can get into the device causing condensation on the screen and failures in the system that eventually lead to complete breakdown, and that this has occurred despite assurances that the device is waterproof and has been thoroughly tested. This flaw leads to an deeper longevity issue that other buyers have brought up in their own negative reviews, with some saying their device had lasted little over a year. Some buyers feel that the cost of this gadget is fair given all the features and the purpose but this has to be brought into question if it has such a potentially short life. Summary: does this longevity problem and the questionable electronics mean that this Garmin Edge 500 “High Sensitivity” Bike GPS is not recommendable? The issue with the short life and the faults in the electronics that have been mentioned are a concern; however, some have looked upon them positively and suggested they they are merely bugs in an otherwise functional and beneficial product and that there is every chance that later versions will be less inclined to develop these problems and be more water resistant. This optimistic attitude is a good one to take on board because while the negatives do seem quite major, the features that are provided and their benefits to riders really do make the Garmin GPS worth any questionable price tag or future fault. While it is curious that this GPS system is being praised more for its data on heart rate and speed than its use for navigation, this still a helpful, informative and cleverly-designed little device that can really help and is worth the gamble.